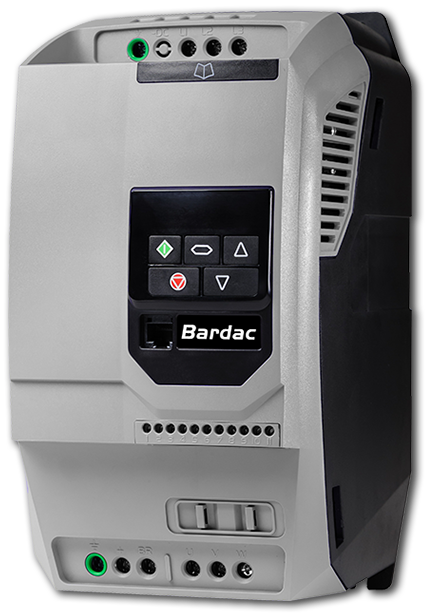 The new E3 Series AC drive is designed to give the very best in value, performance and ease of use. 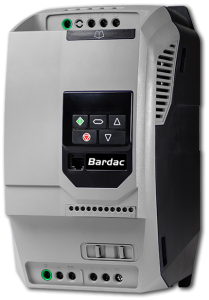 Due to its innovative design, this series of AC drives incorporates flexibility, expandability and convenience that will work in many different applications throughout your plant. 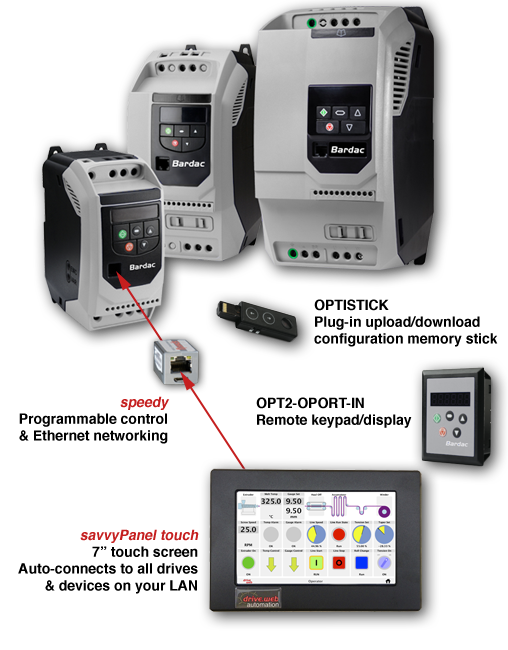 E3 Series drives provide precise motor control and energy savings using the factory settings. Simply power up and the drive can immediately deliver energy savings. Install directly on your processing equipment and be sure of protection from dust and contaminants. 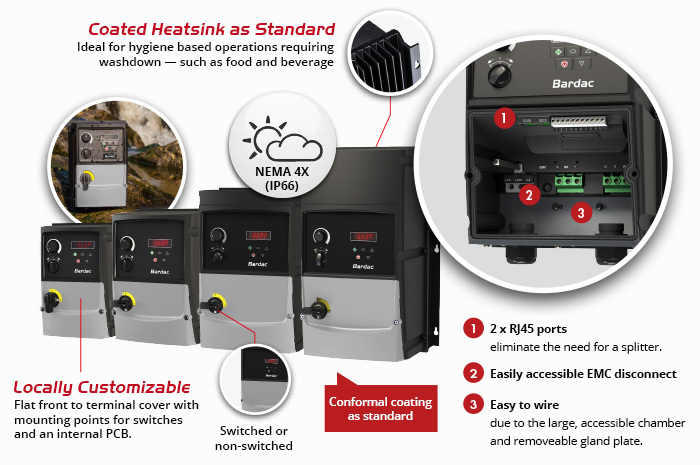 With a sealed ABS enclosure and corrosion resistant heatsink, E3 Series NEMA 4X drives are ideal for high-pressure washdown applications. Simply wire up the drive, turn the inbuilt potentiometer and the motor will start running – allowing immediate energy savings. Saving energy cannot be easier than this! 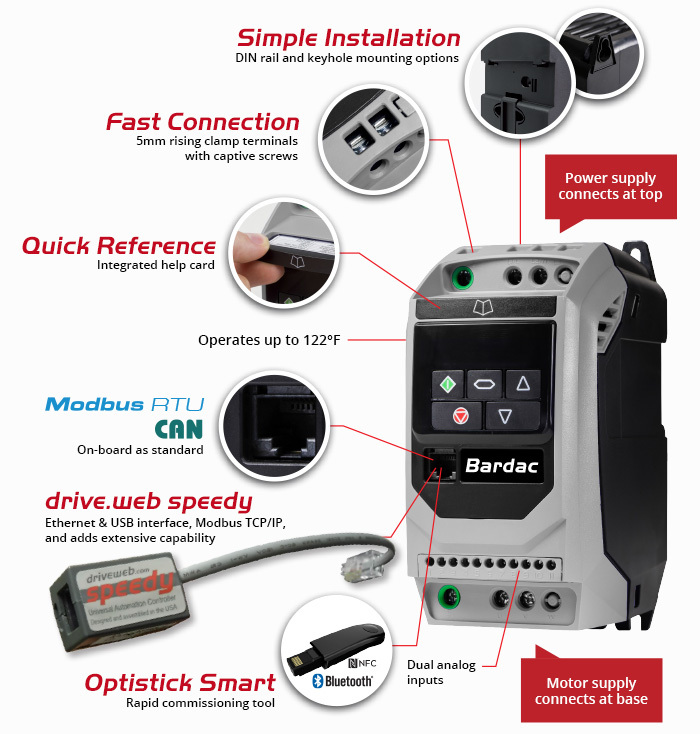 Bardac E3 NEMA 4X drives are not only outdoor rated, they can also connect peer-to-peer with other drives, remote I/O, PLCs, operator stations, and SCADA systems via our drive.web technology. 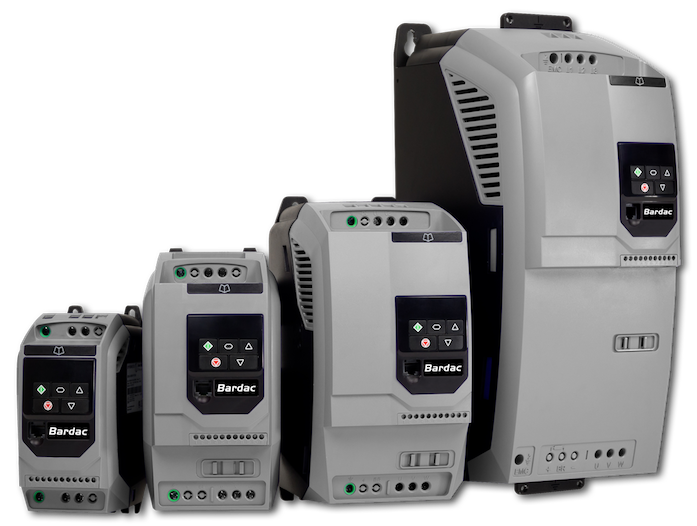 Click here to view E3 Variable Frequency Drive dimensions.